I’ve been admiring felted wool bags and projects for some time now, and I was finally inspired to take the leap into felting after unearthing old sweaters and knitting wool at my parents’ place. 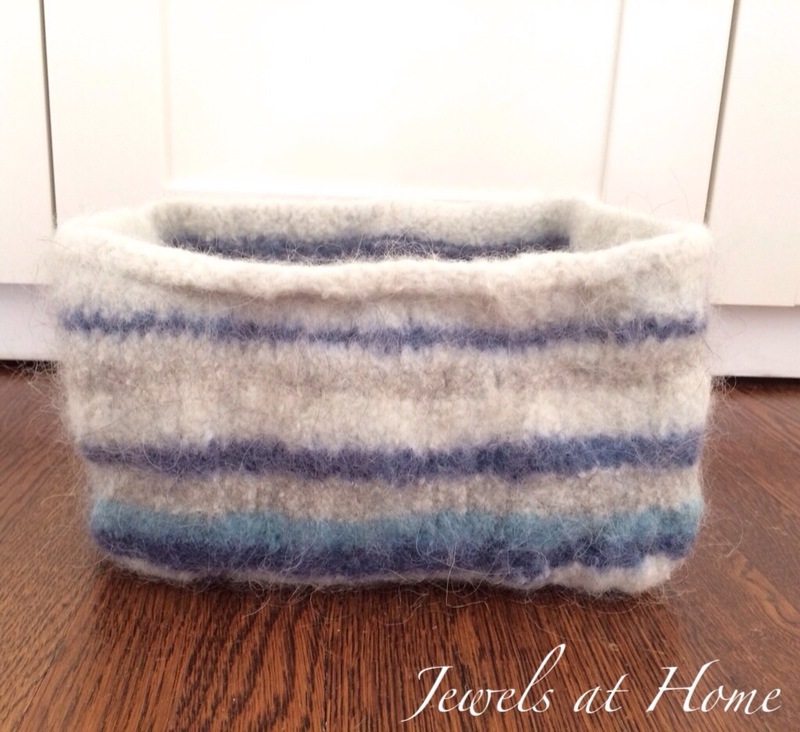 My first project was this felted basket that I’m using for my knitting projects. Steve calls this “Knitting Inception,” because of the knitting within the knitting… you know… well, there’s a reason we were meant for each other, and it may be because I’m the only one who appreciates his humor. I used this pattern as a foundation for my basket. I wanted to make my basket larger, so I experimented with the dimensions. To knit the base of the basket, I cast on 35 stitches of 100% wool “Iceland Lopi.” From that, I knit a square in garter stitch (about 45 rows) that is 14″ by 14″, leaving the stitches on the needle. 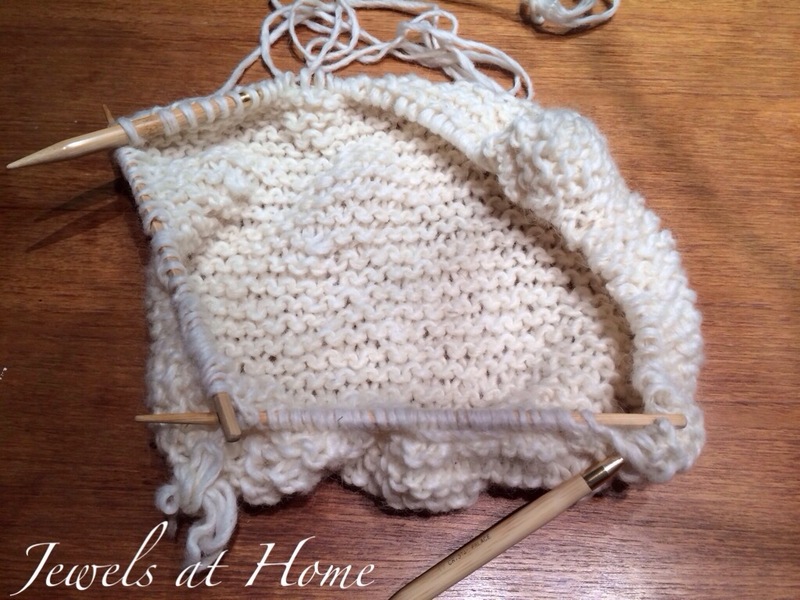 Knitting the base of the basket. 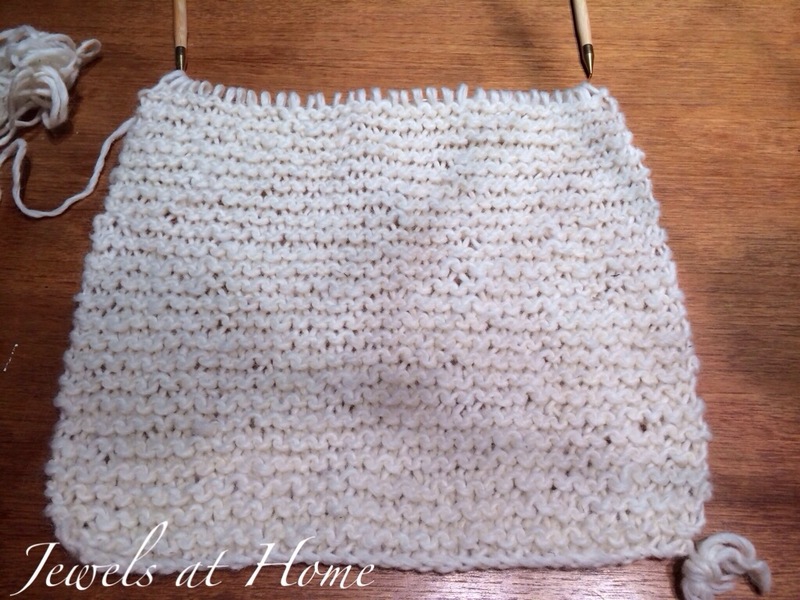 The next step is to pick up stitches from the other three sides of the square. I found it easier to pick up the stitches on separate knitting needles (or in this case, chopsticks!) and then join them as I knit the first row of the sides of the basket. Picking up the stitches to knit the sides of the basket. 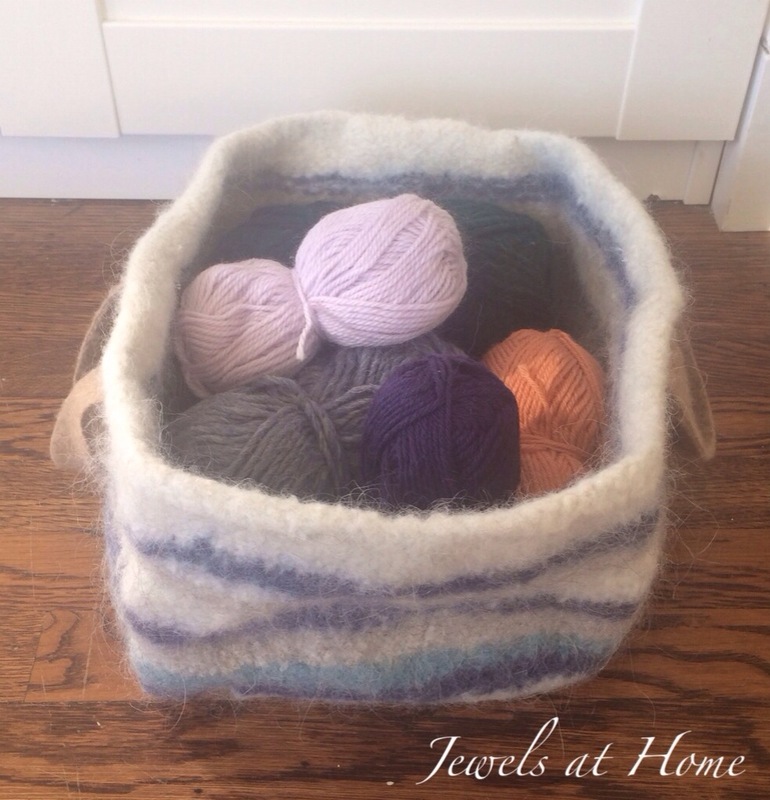 To create the sides of the basket, I continued to knit a large circle in stocking stitch, switching colors every 2-6 rows. 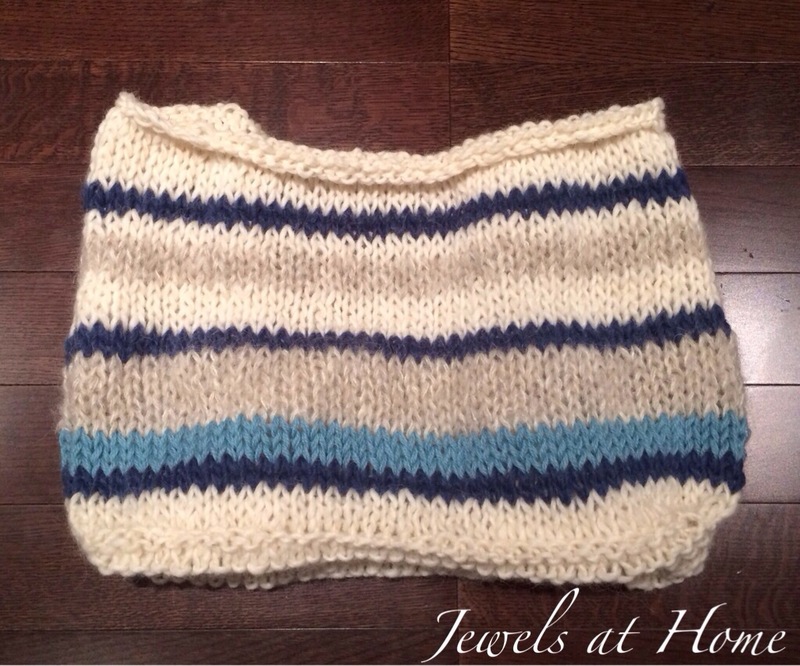 I knit 14″ of stocking stitch and then cast off. Now the part I was waiting for: felting! There are lots of tips on felting available, and I found a good summary of felting techniques on the Lion Brand website. 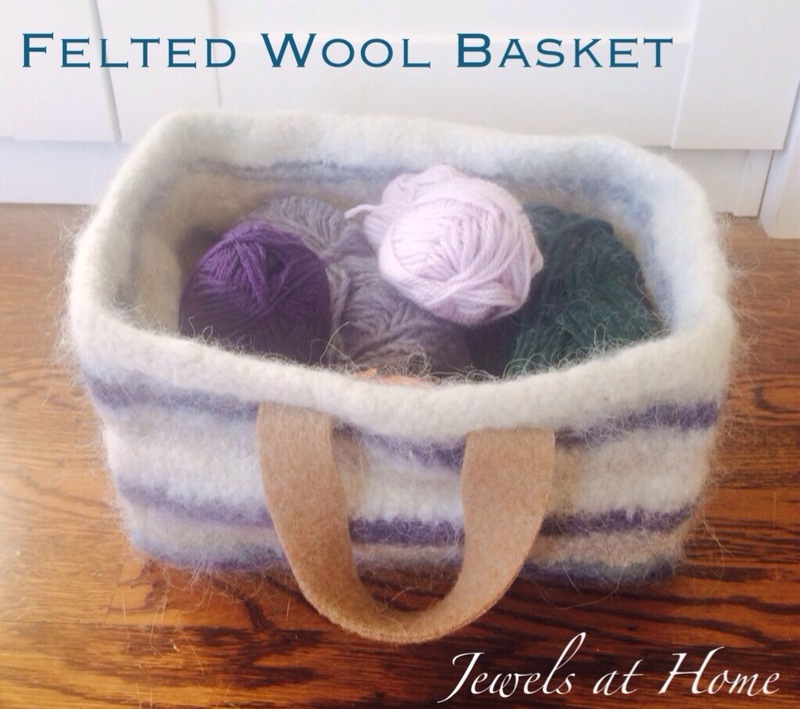 I found I needed very hot water (used the “sanitize” cycle on my machine, after “hot” only partially felted the basket), and I preferred to felt the items loose, rather than in a bag, because I found that they felted more evenly. As for proportions, I’m sure these will vary greatly with each wool and machine, but as a guideline, the garter stitch shrank to about 60% the original dimensions and shrank evenly in length and width. 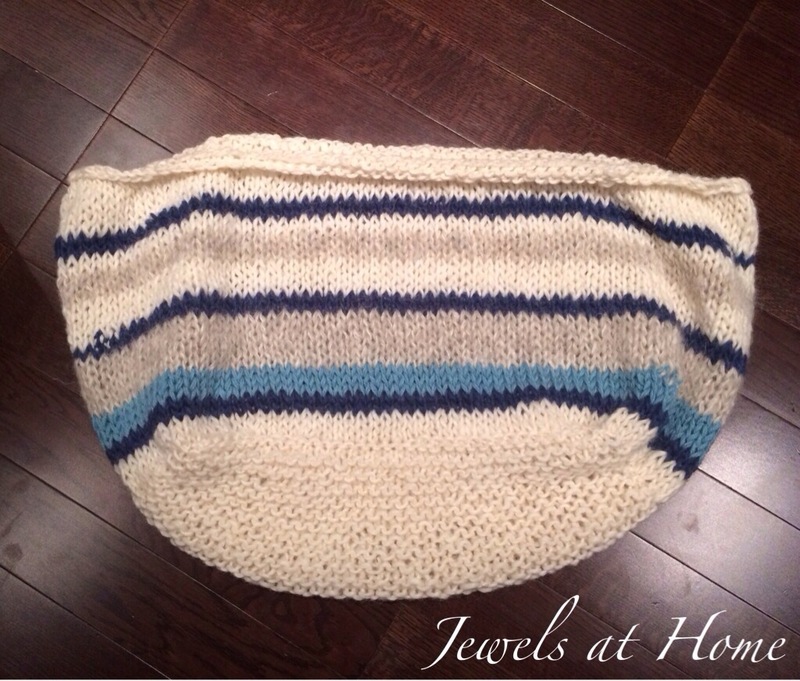 The texture of the garter stitch was still noticeable after felting. The stocking stitch shrank to 50% its original height – actually, even a little shorter because the top folded over. The width of the stocking stitch shrank to about 60% the original size. Overall, the basket held it’s shape very well. 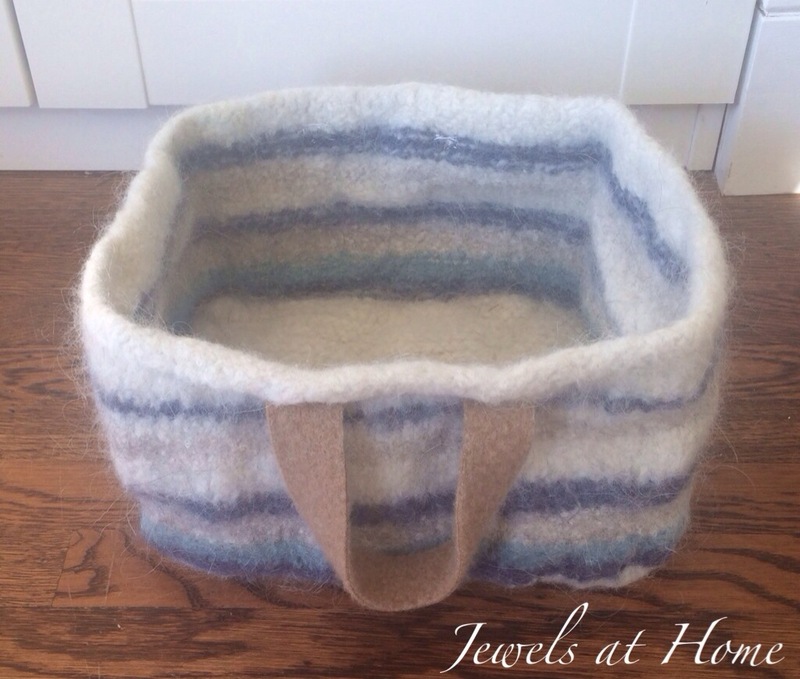 The last step on the basket was to sew on handles. These are cut from an old scarf I found at my dad’s that was accidentally felted. Cutting into the felted material was the weirdest sensation – like defying a basic law of physics! I sewed on the handles using embroidery floss. My sister asked if I’m pleased with my first felting project, and I am. It takes a little bit of letting go of expectations, because you can’t control the outcome that precisely, but I am happy with the result, and I’m using my new basket already! 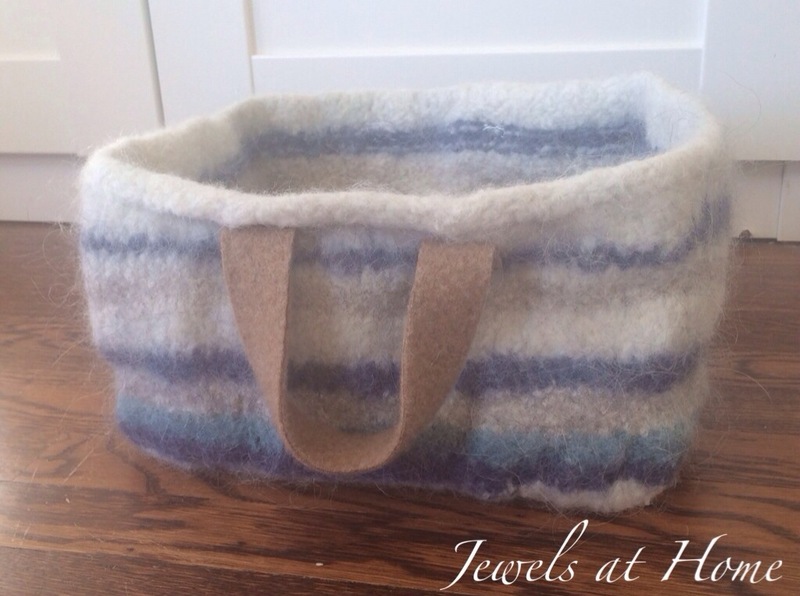 I promise more felting ideas will be posted soon!